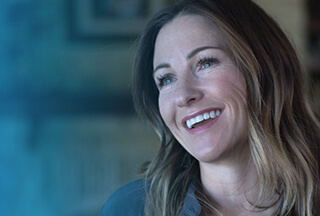 Deployment Solutions Engineer at Dell Inc.
Dell provides the technology that transforms the way we all work and live. But we are more than a technology company — we are a people company. We inspire, challenge and respect every one of our over 100,000 employees. We also provide them with unparalleled growth and development opportunities. We can’t wait for you to discover this for yourself as a Deployment Technologies Consultant on our Configuration Services team in Ireland. Our customers’ system requirements are usually highly complex. Bringing together hardware and software systems design, Systems Development Engineering operates at the very cutting edge of technology to meet them. We design and develop electronic and electro-mechanical or systems-orientated products, conduct feasibility studies on engineering proposals and prepare installation, operation and maintenance specifications and instructions. We’re proud to deliver programs and products to the highest quality standards, on time and within budget. Dell's configuration and deployment services teams are on the cutting edge of systems deployment, combining the latest in deployment technology (Autopilot, Workspace One, SCM) with cloud, network and virtualization technology to deliver an unparalleled deployment experience. The deployment services team is seeking a creative technologist to build the next generation of Dell's deployment services capabilities. Develop the next generation of system deployment tools and technologies for Dell, integrating industry products (SCCM, Autopilot, workspace one) with Dell service offerings. Drive enhancement of existing capabilities in the deployment services offer portfolio, leveraging networking, virtualization and process expertise to build new capabilities. Define the core technology, security, customer and engineering workflows to deliver an outstanding deployment experience to Dells customers. Provide top tier support on networking and virtualization technologies to the offer engineering and customer engagement teams. Deep subject matter expert on Networking, VPN technology, Network security, SonicWALL products. Excellent practical and theoretical knowledge of virtualization, specifically MS Hyper-V & VM Ware products. Solid foundation in industry deployment technologies (SCCM, Autopilot, Workspace one). High attention to detail, diligent, conscientious, security focused. 8+ Years experience in technical competencies (Virtualization, Networking, SCCM, Security). If you would thrive in a combined hardware and software design function, this is your opportunity to develop with Dell.